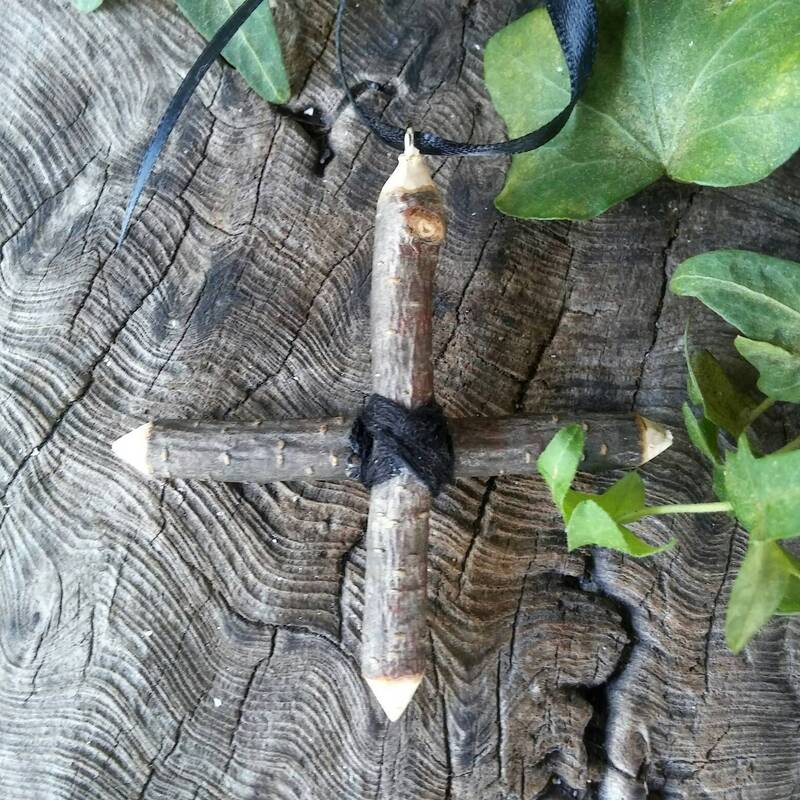 Alder wood amulet for protection and courage. Alder is said to reduce nervousness and anxiety, and helps you face things you've been avoiding. Alder is also wonderful for a protection amulet / protection charm. 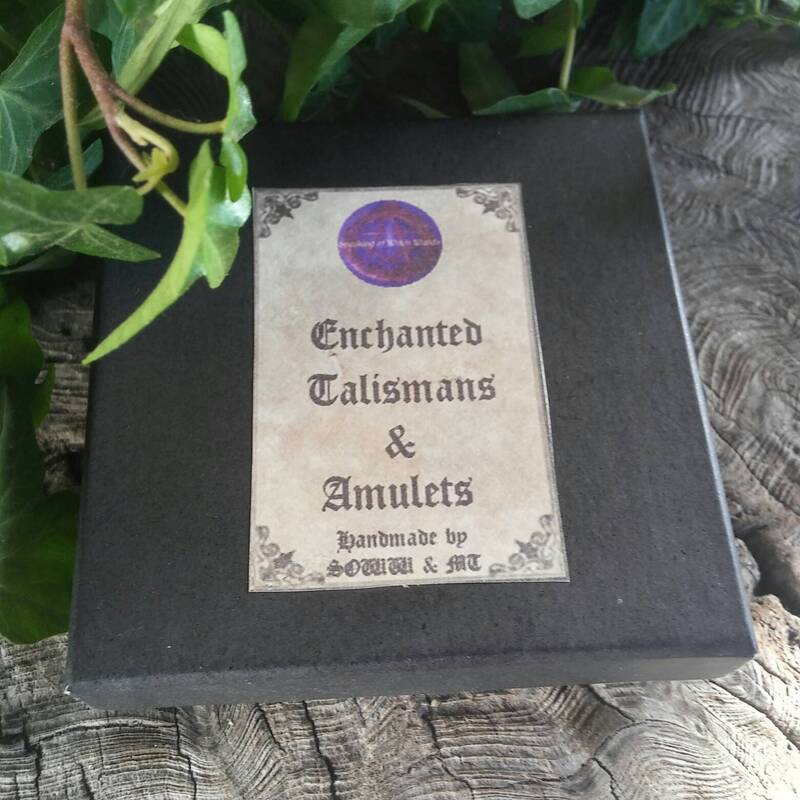 As a courage amulet it calms and supports your emotions and whilst you may still feel afraid, it will calm you to make the most courageous decisions. As a protection amulet it is designed to protect the heart and chest area. Charms worn about the neck are excellent for this. In witchcraft, Alder provides strength to the words of the Witch. The wood provides the authority of her verbal skills and strengthens spell casting. 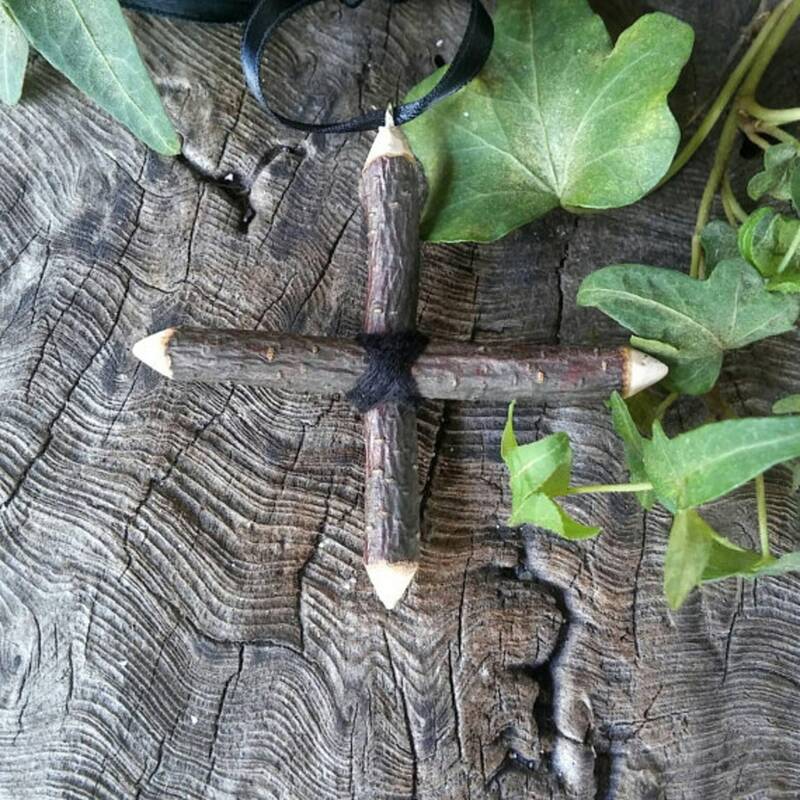 This cross is made by de-barking the ends and sanding until completely smooth and tied together in the centre with black satin thread. 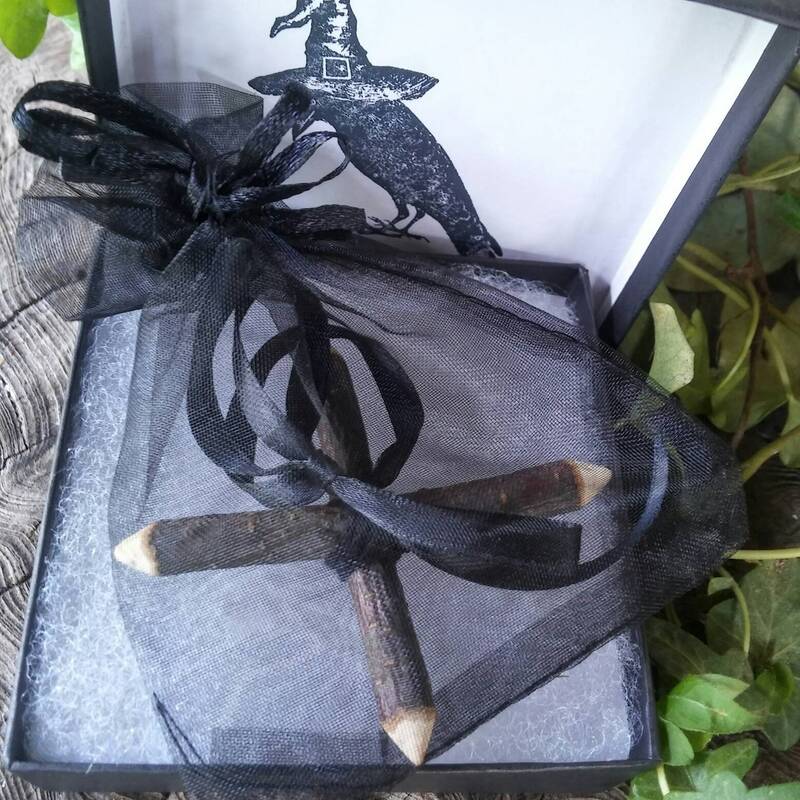 We then polish the cross with our Speaking of Witch Wands Wand Polish. 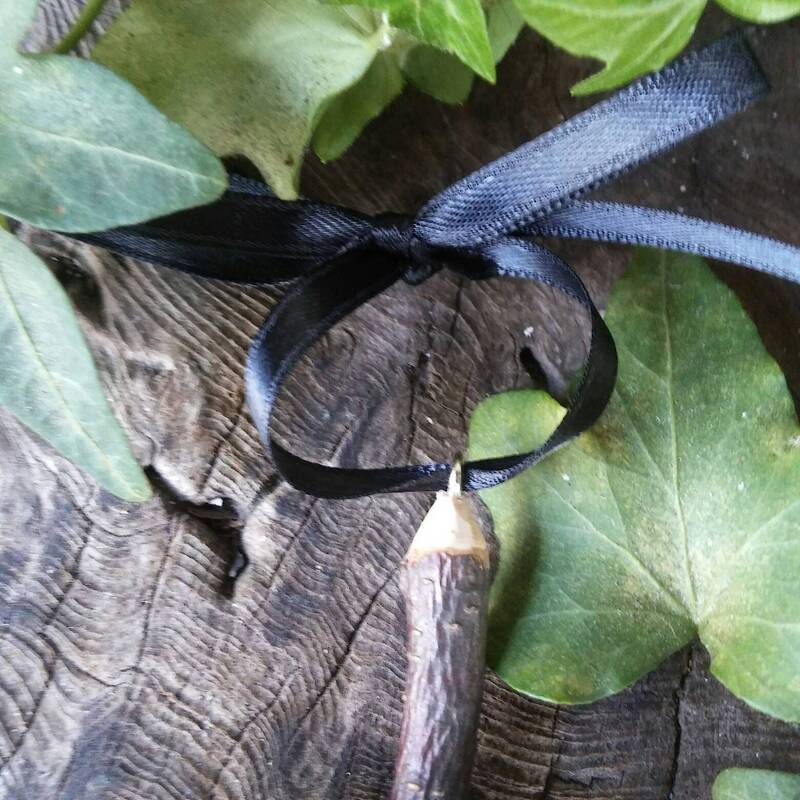 Adding a black satin ribbon for hanging, it is now ready to be hung above your doorway, window, or upon your person as a means of protection and courage. It is approximately 3 inches by 3 inches.